Cocktails at Red Ash Italia. Credit Robert Jacob Lerma. Hidden behind a sliding bookshelf in one of the oldest standing firehouses (now a hostel) in Austin, the red-hot Firehouse Lounge dispels every myth about the craft cocktail scene: you won’t find any high-falutin’ clientele, snooty bartenders or hefty price tags here. What you will find are inventive house cocktails and Prohibition-era classics alongside warm service and bar snacks that are sure to hit the spot. Cozy up in downtown Austin at Red Ash Italia, where the traditional Italian dishes are cooked over a custom wood-burning grill and the cocktails are treated with just as much respect as the pasta. Keep it classic with the Negroni Bianco or step it up a notch with the Havana 3AM. Named after a legendary opium den in Victorian-era London, East Austin’s Ah Sing Den has all the trimmings of old-school decadence (fringed lampshades, velvet banquettes, dim lighting) with a drink menu that’s anything but dated. Asian-inspired cocktails like the Burmese Mission and Guyanese Sour layer in bold, exotic flavors such as cayenne pepper, clementine togarashi syrup and Thai basil. Red Headed Stepchild is one of the kitschiest cocktail lounges in Austin – if you can find it. Follow the cunning trail of misdirects, from its website to its inside-joke Yelp reviews and its exterior sign, which reads “Floppy Disk Repair.” With a little online digging (who said speakeasies were easy?) you should be able to locate the secret door code to enter a curious world of flame-red neon, taxidermy, wooden swings and playful cocktails made from breakfast cereals like Trix and Cocoa Puffs. Austin’s craft cocktail purveyors don’t have to look far to find top-shelf spirits; these distillers are making a crop of small-batch liquors right in our own backyard. Texas knows a thing or two about tequila, and the agave-based elixir might just be Austin’s favorite spirit. Look for Dulce Vida, a much-awarded craft distillery based in Austin, on bar menus and in retail stores around the city. Another noble foot soldier in the small-batch movement is the aptly named Revolution Spirits, which blends art and science to make 100-proof Austin Reserve Gin and an eye-popping Cafecito Liqueur. Another local champion of the juniper spirit, Genius Gin distills a “navy strength” gin with the historic proof that was tippled on British Royal Navy ships. Forty-five minutes outside Austin in Dripping Springs, Treaty Oak distills rums, whiskeys, gins and Texas Tea Vodka on a 27-acre Hill Country ranch. Come ‘round for tours, tastings and live music. 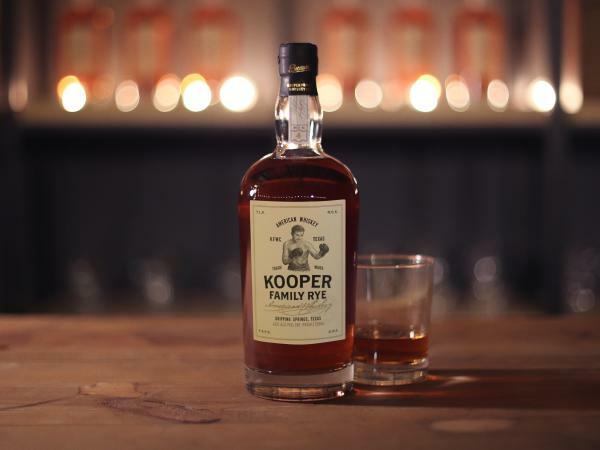 Just down the road, Kooper Family Rye focuses on a single blend (of the same name) that snagged a gold medal at the 2016 San Francisco World Spirits Competition. Still Austin Whiskey Co., which is set to open in early 2017, aims to be the first whiskey distillery in city limits since Prohibition, and will experiment with truly Texas flavors like jalapeño and prickly pear. Of course, no Austin distillery list is complete without Deep Eddy, the spirit that started it all. Along with the classic straight vodka, you can try varieties infused with lemon, peach, sweet tea and other summer-friendly flavors. Visit the Dripping Springs distillery Thursdays–Sundays for tours and tastes of this local legend that made it big.